The online version of this article ( https://doi.org/10.1007/s12250-018-0022-5) contains supplementary material, which is available to authorized users. Ying Yuan and Shengjie Tang have contributed equally to this work. We gratefully acknowledge the contribution of the HIV-1 patients who participated in this study and also wish to thank the staff of the local CDC for recruiting participants, collecting samples, and technical assistance. 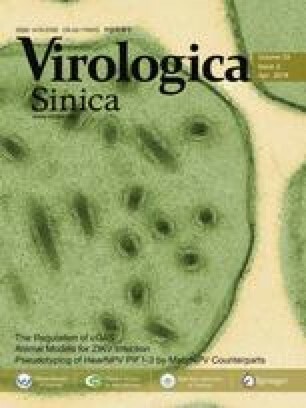 This work was supported by grants from the Open Research Fund Program of the State Key Laboratory of Virology of China (2017IOV003), the Health Department of Jiangsu Province (Y2013062), and Suzhou Science Technology Bureau (SYS201452) and in part by grants from the National Science Foundation of China (NSFC) (81101257) and the Natural Science Foundation of Heilongjiang Province (H201355). Animal and Human Rights Statement was obtained from all patients for whom identifying information is included in this article.